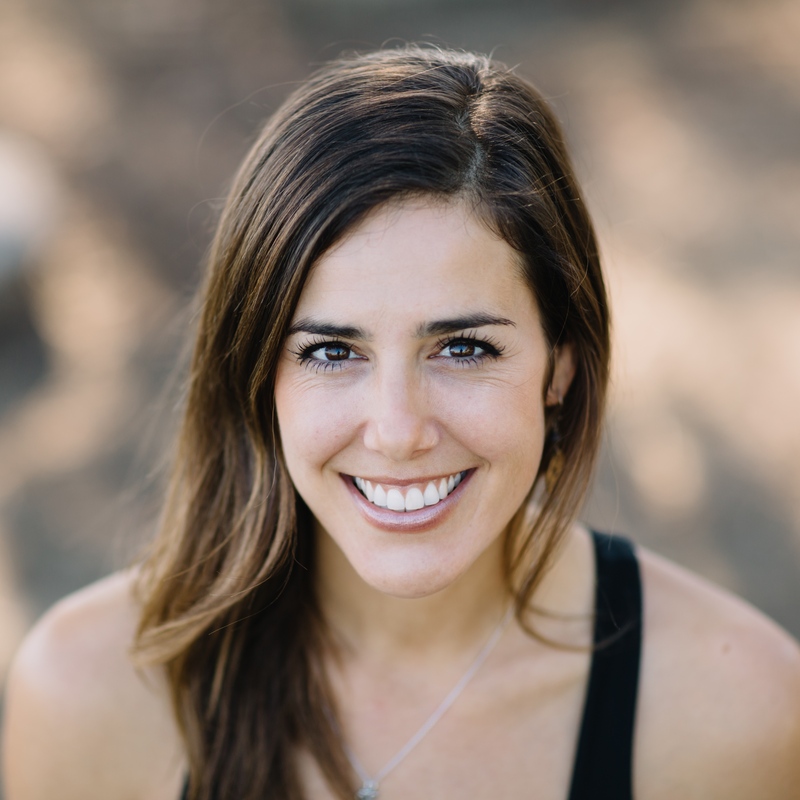 Expand and explore your yoga practice with master teacher Amy Caldwell of Yoga One. Yoga is an experiential process. A regular practice can help you develop a better connection with yourself, others, and the present moment. Yoga can help reduce stress, anxiety, and bad habits. Yoga means union. At Yoga One we strive to connect mindfulness, breath, and action. These step by step instructions will safely guide you into and out of this yoga pose. We offer precise alignment cues to cultivate conscientious movement and to keep you safe, so you can refine and benefit from your practice and the subsequent understanding for a lifetime. Throughout our internationally acclaimed Yoga One Teacher Training Course, we dive further into the details to inspire and assist those individuals looking to take their practice to the next level and for those wanting to share the joys and benefits of yoga with others. Standing foot: Three points of foot grounded. Standing leg: Muscles engaged, including glutes. Kneecap lifted and tracking toward middle toe. Bend knee if needed – check engagement and tracking. Lifted leg: Muscles engaged, the foot flexed or pointed (different effects). Kneecap points downward towards the floor – inner thigh firm and lifted toward the sky. Neutral pelvis (in all three planes). Firm outer hips. Torso lengthens evenly on all sides. Enhancements: In version with arms forward, face student, have them press forearms down onto adjuster’s arm and tone belly, or adjuster stands on standing leg side, hip to hip with student, then squeezes in hip of lifted leg hip for stability. Prep posture: all fours, with one leg up – press shin down, adjuster resists, lift low belly to find neutral spine. Try at least 5 different classes and 2 or 3 different studios/communities before deciding whether yoga is or is not for you. There are lots of flavors of yoga these days. There is yoga that is slow and meditative and there is yoga that is fast and sweaty and everything in between. Find out what is best for YOU. Some other “fun” demons that sometimes rear their ugly head are resistance, doubt and second guessing. Think back to some of the bigger moments and decisions in your life and I bet you will find these guys hanging out. Recently I went on life changing retreat and for weeks leading up to the retreat I thought about backing out. My resistance to change and doing something new showed up in the form of: “I don’t have the money, so I should cancel”; “My family really needs me, so I should stay home”; “My business is super busy right now so this is really not a good time. I should cancel”. There are parts to me and to you that want us to stay small, play it safe and never ever change. These parts stem from aspects that have experienced hurt and pain in our past. They are valid parts of us AND we need to not have them running the show. The practices of yoga and meditation can help us know our higher self a bit better. Taking time to retreat can help us profoundly understand ourselves so that we can have the life we dream of. Our dreams can then move from imagination into reality. I invite you to bravely stand up to the parts of you that hold you back and go take that yoga class or go on retreat. Your soul will thank you. Wendy is a healer, transformational leader, yoga teacher and licensed acupuncturist. She is the owner of Be Yoga & Wellness in Charlotte, NC; and is currently studying at Kripalu for her 500 hour yoga certification. Marcia had just eased her car into a parking spot when she looked out the passenger window and saw the sign which read “one-hour parking.” A few raindrops hit her windshield and Marcia, resisting the temptation to curse, let out a disgruntled sigh. One hour parking would not be long enough. Her brow furrowed deeper and her shoulders were rigid with tension. Reluctantly, she turned the key in the ignition and circled the block again, then she circled one block north and found another spot in two-hour parking. Marcia was grateful she had intended to arrive well before the start of the Classic Yoga, level 1 and 2 class that afternoon. If there had been a level zero class, Marcia would have signed up for that. It had been many years and two children ago that Marcia had last taken a yoga class. Her eyes were the same color, but since then, pretty much everything else about her body had seemed to change. She felt like she might as well be trying yoga for the very first time. Marcia had called ahead yesterday and spoken to the Office Manager Missy, whose upbeat voice had assured her the class was absolutely beginner-friendly. Marcia turned off her car a second time and took in a deep breath, but it came out in a ragged rush. The skies were grey and turbulent, and it looked like real rain was on the way. She hurried down the street and ducked under the awning when she saw the sign for Yoga One. Inside there was a curious little opening in the wall (formally a dumbwaiter shaft) which revealed a closet-sized office. Within, a young woman with long, blonde-ish hair greeted her. Marcia recognized her voice right away. “You must be Missy,” she said, feeling relieved. Missy welcomed Marcia into the studio and asked if she had any questions or concerns before closing the door. Then, Missy greeted the class and instructed everyone to take a comfortable seat on top of a folded blanket. Marcia sat up as tall as she could, noticing immediately how much more effort it took to sit straight than to slouch. Even with the blanket lifting her a bit off the ground, Marcia could feel the tightness in her hips that kept her knees slightly higher than most of the other students. They weren’t seated for long, just two or three minutes, yet when Missy’s voice guided the class to come to their hands and knees, Marcia sighed with relief. She worried the whole class was going to feel that hard. Trying too hard. Those words repeated in Marcia’s mind. She couldn’t remember the last time anyone had said those words to her. Most of the time Marcia felt as though she weren’t trying hard enough. Her boss was always expecting the completion of some project or another. Her two children always seemed to need supplies for an assignment they were supposed to turn in the next day. Her to-do list was never finished. If her husband asked her for anything at the end of the day, even something as simple as getting him a glass of water from the kitchen, she sometimes felt herself bristle. Not at him, but at the feeling of being constantly needed. Marcia tried her best to satisfy all of their needs, but it was an impossible task because they always asked for more. A balance between effort and ease. Did such a thing exist? Where in her life could she do less? This thought tumbled over and over in Marcia’s mind throughout the class. It made her feel intrigued, hopeful, and a little bit afraid. What if something didn’t get done? What if she wasn’t as needed as she thought? Before Marcia knew it, one hour and fifteen minutes had gone by. The class was over. The students were seated again on the blankets with all eyes closed and hands pressed together before their hearts. Marcia breathed in deeply and this time her breath flowed out long and smooth. Thank yourself. Another novel idea. While everyone was putting away the props and rolling up their mats, Missy came over to ask Marcia how she felt. Marcia told her how she often held tension in her shoulders and that the class had been challenging, but that she did feel more relaxed than before. Missy took the time to show Marcia a few simple poses she could do at work to ease strain in her neck and shoulders. Trying a yoga class after so long hadn’t been easy, but Missy’s friendliness, knowledge, and warmth had put Marcia at ease. As she gathered her belongings, Marcia thanked Missy again for the class and for her suggestions. As Marcia walked back to her car, her heart felt lighter than it had in a long time. She would gladly leave a little extra time for parking if it meant she could feel this way once a week. Maybe next time she would take the trolley, or a ride-share. Maybe she could go to yoga more than once a week. Turning the key in the ignition, Marcia nodded her head. It had absolutely been the right decision to take a yoga class that afternoon. It felt like the first step towards the kind of life she wanted to live. As Marcia thought that perhaps a regular yoga practice could help balance effort and ease in her life, a smile spread across her face. Do you ever sit in front of a computer and type? Hold your phone with your ear and shoulder? Wrangle a small, squirming child? So many daily activities cause tension and tightness in the neck and shoulders. Try this super short sequence to find relief at home and when you can, join us for Restorative Yoga with Missy, Fridays at 4:30pm. Gentle Head Rolling. Take a comfortable seat, ensuring your feet are hip distance and parallel, and sit tall, gently drawing the shoulder blades onto your back. Allow your head to bow forward towards your chest. After a few breaths, slowly roll your head towards one shoulder, then again towards the chest. Repeat a few times moving mindfully from side to side. Backbend with Cactus Arms. Inhale and extend your arms straight up towards the ceiling with the palms facing one another. (Yelling, “Touch down!” is optional). On your exhale, bend your elbows to ninety degrees (cactus arms). Powerfully lift your chest, allowing your gaze to lift as well but keeping the back of your neck long. Alternate straightening and bending the elbows, moving between these two poses as you breath in and out, or hold each one static for 5-8 breaths. Cat and Cow Poses. Come to the ground in table top with your hands under your shoulders and your knees under your hips. Inhale and arch your back, drawing the shoulder blades together, gaze gently up (cow pose). Then exhale and round your back towards the sky, pressing the floor away and looking between your hands (cat pose). Stay connected to your breath while you flow between these two poses. Restorative Fish Pose. If you have yoga blocks, place one block horizontal (medium height) just below the shoulder blades on your back and a second block (tall height) underneath your head. Alternatively, you can use a rolled up blanket beneath your shoulder blades and a pillow under your head. Stretch your legs out long or place a rolled blanket underneath your knees to alleviate tightness in your lower back. Stay here and breathe for up to five minutes. Now take a moment to acknowledge the difference in your body, mind, and spirit. Thank yourself for making this time to offer yourself gratitude and loving-kindness. How do yoga teachers feel about their practice? What inspires them to keep teaching and keep practicing yoga? Get to know your Yoga One teachers outside the studio and off the mat. This month’s interview is with Karen Beers. Yoga helps me reset and reenergize. Each time I step onto the mat, I access an internal sense of self through simple breath focusing techniques. The practice of yoga quiets the chatter of the mind, softens emotions, and encourages present moment awareness. I am able to reconnect with myself, peeling back layers of stress until I feel grounded, refreshed and balanced within. Being an educator, I’m quite comfortable instructing a class. However teaching in a classroom is vastly different from teaching yoga. When I first became a yoga instructor, reaching students of all ability levels was the most intimidating aspect. It takes a lot of preparation to ensure that all students are guided well. By providing options and modification of postures, I ensure that all students can have a rewarding experience. Providing space for community and connection brings me great joy as a yoga instructor. So much of our days are spent focused on individual tasks, it’s very important that we take time to acknowledge each person with whom we share the yoga experience. This connection with others promotes a more relaxed state of present moment awareness. The end result then can be a collective sense of calm and tranquility that brings a smile to everyone’s faces. “In a Sentimental Mood” by Duke Ellington & John Coltrane: This song is the essence of positive energy. It has a slow, smooth introduction, progressing into a layered melody that transports you on your own personal journey. It’s filled with incredible talent, improvisation, and inspiration. Besides yoga philosophy and principles, master yoga instructors are my inspiration. I’m enamored of people who have practiced and devoted themselves to sharing the gifts of yoga, including Tao Porchon-Lynch, Kia Miller, Jason Crandell, and Shiva Rea. Each of these individuals have their own specialization and depth of understanding that they impart through their teaching. Yoga has so much knowledge to share. I teach Level 1-2 Flow, Sundays at 10:30am. It’s December and like many of you, I’m making a list and checking it twice, trying to find thoughtful gifts for all the people I love best. Holiday shopping has never been easy, but in recent years I’ve decided my gift-giving should be eco-conscious, ethically-sourced, and in line with minimalism, as well as something that will bring joy to the recipient. Phew. You know what we don’t need this holiday season? Another gift guide listing things to buy. Even the most-desired, best-chosen gift in the world cannot make you happy. Happiness is something you have to make within yourself. For yogis, happiness (or contentment) is the moral observance of Santosha, one of the niyamas. Through this lens, happiness is not something you have, it’s a way of being and something you practice. The Best Gift Ever? THE Present. The actual present moment. Breathe. You don’t need to follow a specific pranayama, or breath control technique. Just observe your breath as you inhale and exhale. Breathe slowly, without effort, until you feel calm. Let Go. Let go of things you wanted to do. Let go of parties you don’t want to attend. Let go of your expectations for others. Let go of your expectations for yourself. There are so many burdens you can simply drop. Observe. What is happening right this moment? Between our calendars, the pull of the internet, and social media, we are too often caught swirling somewhere virtual. Ground yourself mentally in the same place as your physical self. Then anchor your mind were you are at that moment, (not the past or the future) the present. Care for Your Needs. It’s hard to be present and at peace when you’re really hungry. Or too tired. Or your feet are too cold. Take a break to feed yourself, go to bed earlier, or put on some socks. Your body will thank you for noticing. Give Your Full Attention. Helping others makes us feel good! That’s why we like to give gifts. Give the gift of your full attention to whoever is closest. Make eye contact. Truly listen. Set a Reminder. It can be as simple as an alarm on your phone or a meditation app or anytime that you think of chocolate or coffee, that will prompt you once a day. Take a few minutes each day to breathe and check in with yourself. from all of us at Yoga One! The above words are how students have described feeling after practicing at Yoga One! Give the gifts of Yoga and Massage! *Package expires 6 months from the first class attended (not from purchase date). No refunds or extensions. Must be purchased by December 21st. Click here for Yoga One holiday schedule.